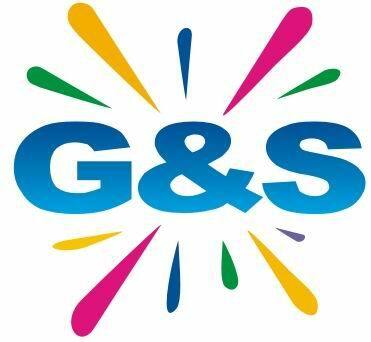 Yixing G&S Enterprises Co.,Ltd locates in Jiangsu, China. As a professional weddinng and Party Decoration manufacturer and exporter, we gain plenty of working experience since our factory is established in 2007. The high quality of our goods are approved by many valued clients from all over the world. America and Europe is our main market. We have SGS test report for these two markets. We produce crystal Acrylic Ice Stone, Acrylic Diamond Confetti, flat back diamond, Faux Pearls, glass marble, glass ball fire glass, curshed glass, decor stone, Decor Sand , glass pebbles, Glass Mosaic tiles, nature stone pebbles, crystal soil Water Beads and Diamond Ribbon are our main products. The good quality is always stable. We not only produce goods, but also packing them. Different kinds of packagings is available such as PVC bag, PP BAG, Plastic bag, Mesh bag, PET bottle with customized header card and sticker. "Integrity" is the cornerstone of our cause, the starting point of all our work. Only integrity will be strictly in accordance with our laws and regulations to standardize the requirements of our business, sincere and pragmatic attitude to the business enterprises to promote the development of "Xinhongjian" is willing to be forging a dedication to the cause of enterprise elite team. "cooperation" is the survival of this enterprise. We believed : owned enterprises with limited resources, and community resources unlimited. We will step things mindedness, extensive cooperation with the community in many ways for the international and domestic markets with high-quality products and services, in order to return the trust of customers, staff dedication and community spirit. "brand" is the heavy competition in the market. "brand name" not only enables business interests view, but also enterprise business ideas, business culture, business value, enterprise products in the minds of users of the status of the integrated. "brand name" is the highest pursuit of the development of enterprises.